Adafruit Holiday Gift Guide 2012 – RF « Adafruit Industries – Makers, hackers, artists, designers and engineers! RF has always been fascinating to me — there’s something magical about sending and receiving bits and bytes over the air at high speed, through walls and concrete, out into space and back, etc. While RF has a reputation for being complex — and it can get messy depending on what you need to do — there are a number of platforms, products and tools out there that make RF more accessible for hobbyists than it’s probably ever been before. This quick holiday gift guide will hopefully highlight some of the tools you have at your disposal if you want to get started sending bits and bytes over the air yourself! 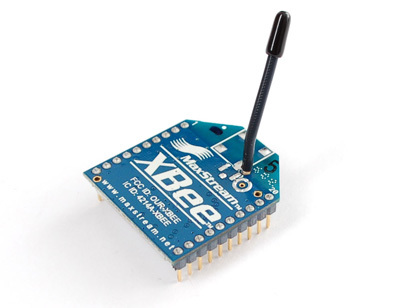 Series 1 (802.15.4 Based) – This are the lowest cost and most popular XBEE modules, based on the open 802.15.4 standard — the foundation of many popular wireless protocols like 6LoWPAN, Zigbee, etc.. These can be used to simulate a basic serial/UART connection over the air, and are a great way to get started with wireless using easy to purchase modules. Series 2 (Zigbee Based) – These modules are based around a standard named Zigbee, which relies on 802.15.4 but includes a much richer framework for devices to interact with each other. If you need to create wireless sensor networks with multiple nodes that need to interact with each other, Zigbee is a good solution. If you simply require basic point to point communication between two or three nodes, though, the Series 1 devices are probably a better match, and will save you some SW complexity and money. Bonus Points: Digi Skill badge – Manage to get those XBee modules communicating with each other? Let the world know with your Digi XBee skill badge! NFC, which is based on 13.56MHz RFID, is a fun technology to use, particularly since it’s built into most recent Android smart phones. It allows you to wirelessly communicate with other NFC-enabled devices, and to read and write ISO14443-based 13.56MHz RFID tags like the extremely popular Mifare Classic and Mifare Ultralight families. 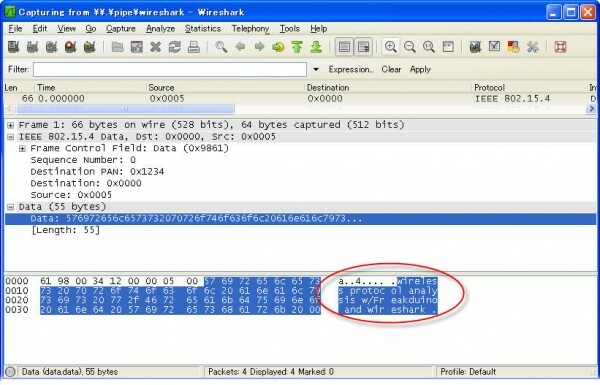 One of the key advantages of 13.56MHz tags compared to earlier 125kHz tags and technologies is that the most popular families also integrate some EEPROM in the tags. You still have a unique ID, but you can also read and write 1K or 4K of data on Mifare Classic cards, or read and write data to Mifare Ultralight tags in a secure way, with complete control over reads and writes using secure keys on a sector by sector basis. 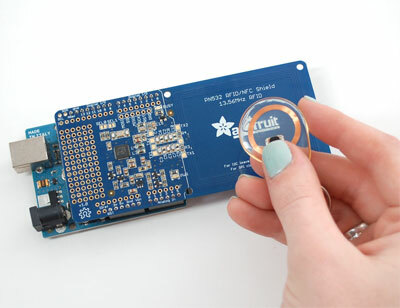 If you’re interested in getting start with RFID and NFC, we have a number of professionally designed, tuned and tested boards available, along with 13.56MHz tags in all kinds of shapes and sizes. PN532 Breakout – A full PN532 breakout board that can be used with I2C, SPI or UART, and works with an Arduino, a Raspberry Pi using libnfc, or any other platform. 13.56MHz Tags – Mifare Classic tags in all kinds of shapes and sizes. These can be read from and written to using out PN532 board, as well as any NFC-enabled smart phone (on Android search for NXP’s excellent TagWriter app to read and write 13.56MHz tags). If you’re interested in wireless, the Freakduino is a great little board that makes it wonderfully easy to add 2.4GHz wireless connectivity to your projects while staying within the comforts and confines of the Arduino IDE. 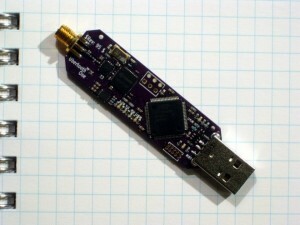 It’s probably the easiest way you’ll find to send and receive data over the air, and as an added bonus Akiba (the brains behind Freaklabs) has also written some software to turn the Freakduino into a 2.4GHz 802.15.4 Protocol Analyzer, meaning you can use this inexpensive board to capture and analyze XBee traffic over the air! If you’re looking for wireless plus Arduino, this is a great place to start. While this one has been around for a bit, the Ubertooth One is a great Bluetooth tools from Michael Ossmann. It’s useful if you’re trying to do any sort of Bluetooth development since it’s the cheapest way to really see what’s going on over the air. For bonus Mossmann point, have a look at his latest amazing RF project: HackRF!